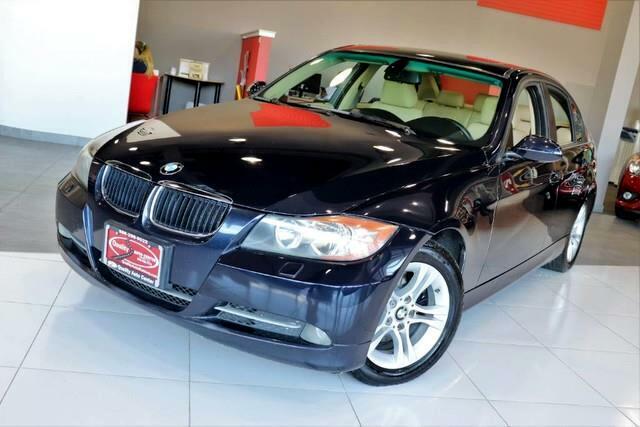 Quality Auto Center is pleased to be currently offering this 2008 BMW 3 Series 328xi with 134,413mi. When driving an all wheel drive vehicle, such as this BMW 3 Series 328xi, superior acceleration, traction, and control come standard. It's not a misprint. And the odometer isn't broken. This is a very low mileage BMW 3 Series. A rare find these days. This vehicle won't last long, take it home today. More information about the 2008 BMW 3 Series: The 2008 BMW 3-Series continues to be the benchmark against which other entry-level luxury cars are measured, mainly courtesy of its excellent driving experience. Power, braking, and handling are perfectly matched to the vehicle's size and intended usage. The way BMW takes care of business inside the cockpit also has a lot to do with the popularity of this breed. The 3-Series makes sure no buyer is left behind by offering four body styles, three engines, and both rear- and all-wheel drive. 2008 also will see the new M3 in coupe, sedan, and convertible form, adding racecar-like performance to the lineup. Strengths of this model include wide variety of bodies and drivetrains, the near-supercar M3., the best inline six-cylinder engines for those who love motoring, and Driving pleasure par excellence No Credit / Bad Credit / No Paystubs, No problem !! ! All Approved ! Everyone drives ! CLEAN, GORGEOUS, LOW MILES, SHOWROOM CONDITION. CALL NOW QUALITY CERTIFIED up to 10 YEARS 100,000 MILE WARRANTY , To Certify a vehicle, there will be an additional cost for Certification. CALL NOW For details. STUNNING AGGRESSIVE LOOK ON THIS BEAUTIFUL--Call today to schedule a test drive... Good Credit/Bad Credit/No problem!!!! Get paid cash? No problem!! 100% Credit Approval with interest rates starting at 2.49% for qualified customers, our rates will not be beaten. We price our cars at wholesale price to guarantee the best deals for our customers. Our inventory moves quick, please call to confirm the availability of the vehicle of your interest Springfield location 973-564-0112. This vehicle is located at our SPRINGFIELD location. Come visit our new showroom in Springfield NJ.